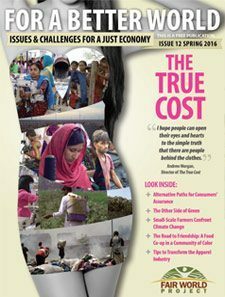 In this issue we focus on the apparel industry, both the huge human and environmental costs of its abuses, and the potential it has to transform livelihoods and marginalized communities. 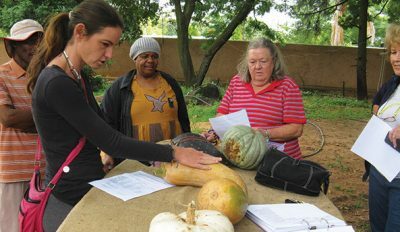 We also return to the climate crisis and view several possible approaches to address its impact on our world: small-scale farmer solutions that are working and some market-based solutions that aren’t. 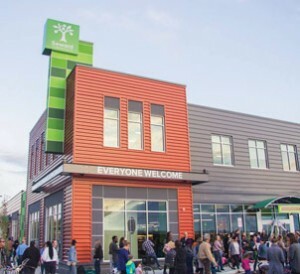 Finally, we look at a few communities striving for a more just economy. 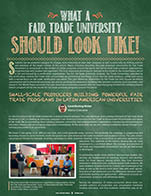 Read how a Latin American fair trade universities initiative is building powerful programs to create true transformation, and how a community is tackling issues of racial and economic equity in their local food cooperative. 04/07/2016 07/02/2018 by Contributing Writer Posted in Fair Trade, Fair Work, Issue 12, Voices of Fair TradeLeave a Comment on Small is Beautiful: But Can Its Rules be Applied to the Fashion Industry? 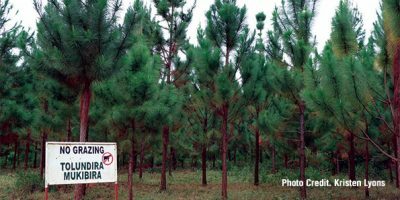 04/07/2016 07/02/2018 by Contributing Writer Posted in Fair Climate, Issue 12, Voices of Fair TradeLeave a Comment on The Other Side of Green!